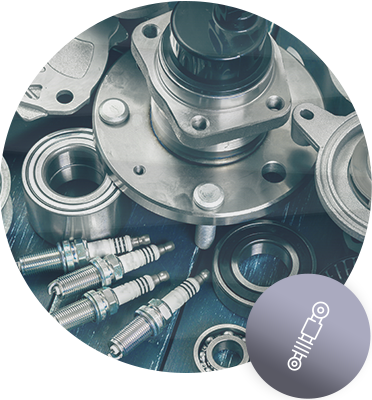 Looking for a dealership you can trust in Whitby for the purchase of genuine parts and accessories for your Toyota? Come to Whitby Toyota today. We have the parts and accessories catalogue you are looking for, and the level of dedicated service you expect and deserve from your dealership. At Whitby Toyota, you will be amazed at the quality of the service you receive at our parts and accessories department as well as the number of parts and accessories we have in stock to offer you. There is no better choice for your Toyota then genuine Toyota parts and accessories. They are specifically designed for your vehicle in order to preserve its performance and reliability, improve its versatility or design, and enhance its resale value. At Whitby Toyota, you will find every new Toyota part or accessory, and we can install everything on site to make things a bit easier for you. Come and discover our complete inventory of Toyota winter wheels and tires, summer tires, trailer hitches, roof boxes, sports equipment transport systems like bike racks and roof rails, and so much more. Our team in the service department only uses genuine Toyota parts in their repairs which means we also have plenty of brake pads, brake sets, batteries and more, ready to go as well. Come to Whitby Toyota today and let us find the perfect new parts or accessories for your Toyota.